How to remove wrinkles from your bed sheets without an iron! 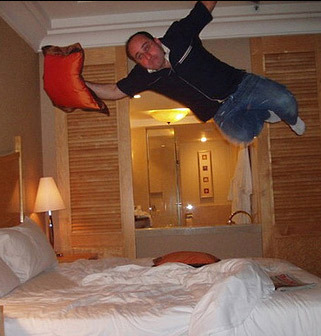 There are few things that are more comfortable than slipping into a clean bed that is made with 100% cotton sheets. However, cotton bed sheets can incur their share of wrinkles. Do nothing, your sheets will still feel more comfortable than cotton/poly blends. Have someone else iron your sheets. Take your sheets to get laundered and pressed, but do not have them dry cleaned. Follow our helpful hints and remove the wrinkles. Do not overload the washer or dryer as this will increase wrinkling. Put one set of sheets in the washer and dryer at a time. Don’t be lazy and let the sheets sit in the dryer once the buzzer sounds. A spray bottle can also be your best friend. So grab a spray bottle of water and set your aim to those unsightly wrinkles. Filling your spray bottle with fragrance waters can keep your elegant linens smelling fresh. Tap water will also do the trick. Vero Linens actually sells a wonderful linen spray and detergent on our site found here. 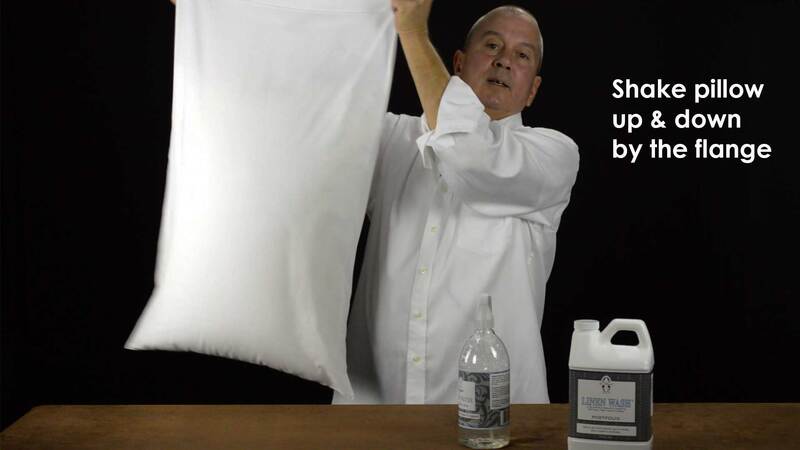 Now, on to ridding wrinkles from your bed linens with the use of a spray bottle. Follow these simple instructions and enjoy the sight and feel of wrinkle-free linens. Stuff your pillowcase and then hold it with one hand from the cuff while giving it a light spritz on both sides. Now give shake it up and down a bit while still holding it from the cuff. This will cause the wrinkles to fall right out. The key to this technique is making sure to apply some tension on the fabric. It’s okay if your linens are a bit damp as it will only take a few minutes for them to dry. Put it on the bed and since it is elasticized, there will already be some tension. All that is required next is a few spritzes from your spray bottle. As shown in the photo below, grab one of the top corners of the sheet. Pull it so that it is slightly taut and commence with a few spritzes. Repeat this same step on the other side of your bed. You will be amazed at how easily the wrinkles fall right out. It will look like your sheets have just been ironed! 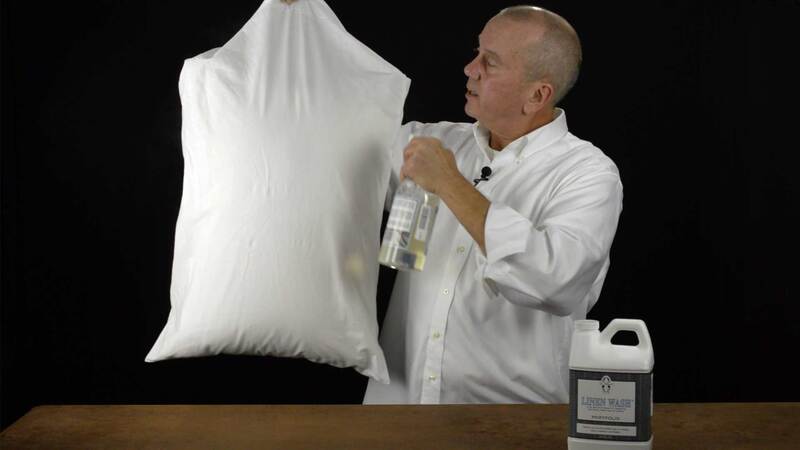 To care for your luxury sheets – watch our “How to launder linens” video found here. When you are ready to purchase your next set of fine bed linens, look no further than Vero Linens. We offer a complete selection of European linens, duvet covers, soft down sleeping pillows and much more. Luxury, comfort and affordable prices can all be yours at Vero Linens. Use code - bedding tips - at check out & get 5% off your entire purchase. View 150+ bedding related videos & articles on our “Bedding tips” page here.